Dardania College as the only Institution of Higher Education in Kosova that has cooperation with University of Bologna, enabled its students to meet well-known international professors and learn from their lectures. This time Dardania College has become the target of the visit and the lecture of the professor form the University of Bologna Prof.Dr. 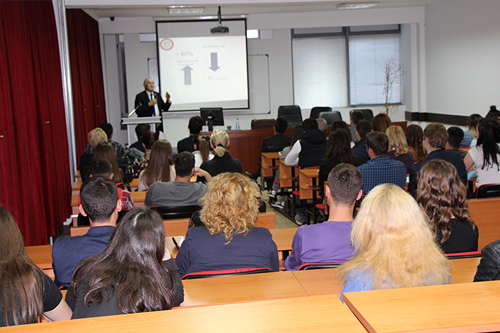 Massimo Bianchi who for the students of Dardania College on 30 May 2014 delivered a lecture on the topic “Network structures and performances in project management”. 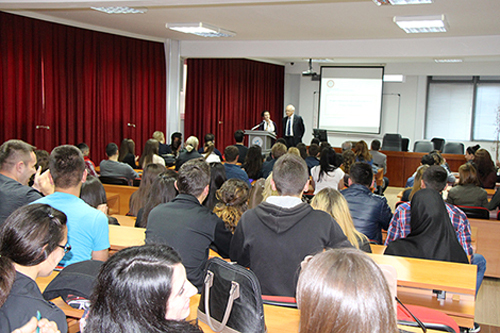 The students of Dardania College were very much interested to learn from the experiences of Prof. Bianchi, and this interest was shown in particular with the questions that they have made to Prof. Bianchi as well as with their very affirmative evaluation of the lecture which they had the privilege and pleasure to listen from Prof.Dr. Massimo Bianchi who at the same time is the Coordinator of Doctoral Program, the project where Dardania is a partner since 2010.